MyThemeShop is one of the most popular premium WordPress theme developers for a long time. So, if you’re planning to buy one of the best MyThemeShop themes for your blog, then I must congratulate you on this decision! With time, they have evolved a lot and have made sure to care of the latest trends. Don’t believe my words? You can check out their theme collections and get the perfect theme for your blog. Yes, whatever your blogging niche is – like health, personal finance, news magazine, coupon, blogging or any other, you will find a suitable theme at MyThemeShop. So far they have designed 100+ WordPress themes. In this article, I will showcase the 14 best MyThemeShop themes of 2019 which will make your blogging journey easier. Why MyThemeShop Themes Are Best For You? There are so many free WordPress themes available in the market. So, why to go for premium WordPress themes? Well, this discussion already has many answers. The point here is, a quality premium theme has many benefits which are a must to secure your website as well as make it search engine friendly. Let’s explore a few of the awesome features of MyThemeShop Themes. 100% Mobile Optimize: Mobile optimization and responsiveness is the key to be loved by search engines as well as users. In that case, every single MyThemeShop theme is 100% mobile-friendly. SEO-friendly WordPress Themes: SEO or search engine optimization is the key to rank your content high. Your website can be 100% SEO-optimized if the website design supports that. With any one of the best MyThemeShop Themes, you don’t have to worry about that, as their themes are clean and efficiently coded. Easy To Customize: Majority of the premium themes don’t have enough ways to customize things like layout, typography, colors etc. But with the MyThemeShop WordPress themes, you will get an awesome theme customization option and can customize almost everything on the theme. Awesome Support: Their support team is simply amazing. However big brand you are, if you are not able to provide good support you will lose customers. Recently after setting up Rank Math WordPress SEO plugin, I found a couple of errors on my website. But as soon as I contacted the MyThemeShop support team, they helped me till the issues were resolved. A BIG thanks to their support team to keep my trust & faith in them. Every type of Themes: Yes, whatever your blogging niche is, you will find an awesome theme from MyThemeShop. Just check the list of best MyThemeShop themes I have shared below, where I tried to cover almost every single popular blogging niche. Translation ready: Every single MyThemeShop theme has a translation feature. Your readers can enjoy reading your content from any part of the world. Moneyback Policy: They have a 30-day money back policy. If you have any problem with their themes or plugins then they will be happy to refund your full amount. If you are planning to start a micro niche Amazon affiliate website, then Schema is the best MyThemeShop theme for you. This theme is highly SEO optimized, have a clean design and perfect for any affiliate website. Pricing: Schema theme comes in 3 different pricing plans. Want to create a viral website to get a huge response in social platforms like Facebook, Instagram, Twitter? Then check the Socially Viral Theme from MTS. Pricing: Socially Viral theme comes in 3 different pricing plans. Google Adsense is the biggest earning source of many bloggers. But how to optimize your Ads to get more clicks and earn more money? 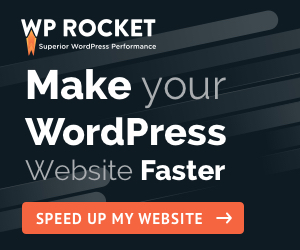 For that, you need an Adsense optimized WordPress theme. Ad-Sense is the best MyThemeShop theme for that need, which is highly optimized for Google Adsense. Pricing: Ad-Sense theme comes in 3 different pricing plans. Next in the list of best MyThemeShop themes is Coupon. If you’re planning to start a coupon website and make money from affiliate commissions, then I must say, you’re going great! This is one of the proven ways to make money quickly. But which Coupon WordPress theme is best? I found MyThemeShop coupon theme perfect with a professional look, mobile friendly and many other awesome features. Pricing: Coupon theme comes in 3 different pricing plans. Cryptocurrency or Bitcoin niche is very hot now. If you have a plan to start a cryptocurrency website or personal finance blog in 2019 then you should choose a WordPress theme specially built for Cryptocurrency websites. MTS Crypto is one of the most selling and best MyThemeShop themes for creating a cryptocurrency website. Perfect theme for any cryptocurrency like Bitcoin, Ethereum, Ripple, Litecoin, Altcoin etc. Show live coin price, create a dedicated coin page etc. Pricing: Crypto theme comes in 3 different pricing plans. How can I not talk about eCommerce here! This is the next one in our list of best MyThemeshop themes of 2019. Starting an eCommerce website has become so easy these days. Thanks to WordPress themes designed to handle such websites. MTS eCommerce theme is built to handle a complete eCommerce website without giving any trouble to set up. Pricing: eCommerce theme comes in 3 different pricing plans. This is a unique portfolio & single page business WordPress theme. If you are an expert and want to showcase your talent or skills to get more business, then you must try this MyThemeShop WordPress theme to build your portfolio website. Fast loading and highly optimized for SEO. Pricing: OnePage theme comes in 3 different pricing plans. Video blogging or Vlogging is one of the most trending things in digital marketing in 2019. Yes, people consume more videos compared to content. In that case, if you have a YouTube channel and you want to start sharing your videos on a Video sharing website then you must check out MTS Video theme. Best Video WordPress Theme For Bloggers. Supports YouTube, Facebook, Vimeo, Dailymotion etc. 100% Video SEO ready theme and schema integrated. Pricing: Video theme comes in 3 different pricing plans. The 10th one in this list of best MyThemeShop themes is NewsPaper. When I started blogging, my aim was to create an awesome NewsPaper website so that I can share every single topic, write viral content and get traffic in every possible way. But, this is not a single man task. Don’t get disappointed, if you want to start a news website then check this MTS NewsPaper theme and start writing content which attracts traffic. This theme will give the extra oomph factor to your content to reach more audience. Beautiful Content-Oriented WordPress Magazine Theme. Striking features like latest sort, media-rich, and multiple post layouts etc. This theme is perfectly optimized to load fast, reduce bounce rate. Pricing: NewsPaper theme comes in 3 different pricing plans. This is a responsive WordPress theme built for fitness, exercise and health enthusiasts. If you are planning to start a health niche website then I am sure you will find this theme suitable. Perfect for people who runs a fitness community, is a personal trainer, publishes as an online magazine, or owns a local gym. Easily show off testimonials, results, products & workouts, and still maintain a blog. Drag & Drop theme design enabled. Pricing: JustFit theme comes in 3 different pricing plans. Traveling is an awesome way to explore new things and get motivated. If you are a traveler and love to share your travel journey through your travel blog, then you must have good looking travel WordPress theme to showcase your work. Which theme is best for a travel website? With 4 different layouts (Default, Fitness, News and Travel), BloggingBox is one of the best MyThemeShop themes of 2019 that will suit your need. Pricing: BloggingBox theme comes in 3 different pricing plans. Food blog or recipe blogs are very popular. If you are planning to start a food blog in 2019 then you must invest a few bucks for this awesome WordPress theme from MyThemeShop. Full of features like author box, related post, comments etc. Pricing: MyBlog theme comes in 3 different pricing plans. My list of best MyThemeShop themes will be incomplete without a photography theme. If you’re searching for the best photography WordPress theme to showcase your hard work, then this is for you. Check out this MTS Viral theme, which will perfectly suit your photography website. 4 pre-defined layout for Photography demo, Pet website demo, food blog demo. Pricing: Viral theme comes in 3 different pricing plans. There is no doubt about the quality of MyThemeShop themes. And the best part is, you will find a theme for every niche on their website. The after sales support is also awesome. Regarding the pricing part, I can see that MyThemeShop has started offering themes on the number of license basis, which is new. This means, now you have to buy licenses to use the same MyThemeShop theme in multiple websites. This might seem a little pricey compared to their earlier packages. However, if you compare MyThemeShop pricing with other popular themes, it is quite cheap only. On top of that, they offer coupon codes from time to time, making it cheaper for you. Finally, we have come to the end of this article. So, which one is your favorite in this list of best MyThemeShop themes of 2019? Whichever you choose, make sure that it matches with your website niche so that you can get the most out of your blog. Feel free to share your feedback and recommendations by writing a comment below. Cool WordPress themes you shared here with its features and prices. Thanks for sharing valuable info with us…!!! Thank you Gangadhar for finding this useful. MyThemeShop is a very good place to find high-quality WordPress themes for any niche.